One of the best ways for Cosmetic Surgeons to get patient consults is to review the keywords that people are typing in when they fill out a form on your website. This is what a lot of the companies using AdLuge do. One of the things that most people don’t think about is keyword trends. What if people are typing in something to find you that is different from what they were using a year back? I decided to run a little test using Google Trends and match that up with some of the great features that AdLuge has. The goal being to find the keywords people are typing but even moreso to uncover some inexpensive keywords that might be able to get lower cost per leads! Using AdLuge I analyzed data from 46 of our cosmetic surgeon clients throughout North America and the UK. After doing this, I was able to determine an industry-wide trend in search interest relating to the top 5 highest converting keywords. I noticed that typical industry keywords are being searched less frequently over the recent years. Although still highest converting, the lead is costing more from these sources. Search interest for example, for keywords listed above have been on a historical decline. 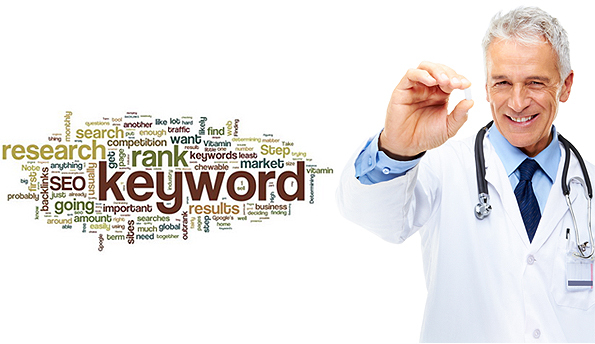 The only keyword that has seen an incline of the keywords above is one: ‘Dimple Surgery’. The common keywords in cosmetic surgery targeting are being searched less frequently, yet the industry remains quite competitive. According to our 2013 data (so far), the average cosmetic surgeon is spending about $154 per lead, but without an effective targeting and conversion strategy this cost will likely increase. Based simply on forecasting a steady increase in search volume for the keyword ‘dimple surgery’, we can anticipate the opposite trend. What does this mean? Search trends are changing and competition has not caught up. Using AdLuge’s Marketing Intelligence software, your entire internet marketing strategy can be measured in one place. This allows you to make informed ‘data driven’ decisions that improve your competitive edge. If your practice is located in a geographically competitive area, staying ahead of your competition’s keyword targeting strategy should be a primary focus for building your client base. Through AdLuge, you can gain valuable insight into your competitors. Insightful SEO reports show how your competitors rank on search engines for keywords you target. If you are measuring all of your leads including sources, keywords and also measuring your status on search engine rankings then good for you! If you are not, you may want to try our free 30-day trial of AdLuge. Once all our tracking is in place you will enjoy a new level of marketing intelligence and will also have an AdLuge professional to count on for further assistance. Visit AdLuge.com for more information, or feel free to give me a call at 1-866–272-1503 to learn more about how AdLuge can help keep your leads on track.